Don't you mean Northrends? or The Northrends? The Winter Veil Pandaren was lol! The whole garrison thing looks like a pretty neat way of implementing player housing. Instead of just having a house that you can decorate, you get a whole fort type thing that you can upgrade, with your own npcs and everything. WoD version of the farm I guess. Item squish is confirmed. Looks WoD will take players back to vanilla stats. Ilvl is not reset though. Given how raped and perverted the lore has become, it actually makes a whole lot of sense for a character to want to go back. 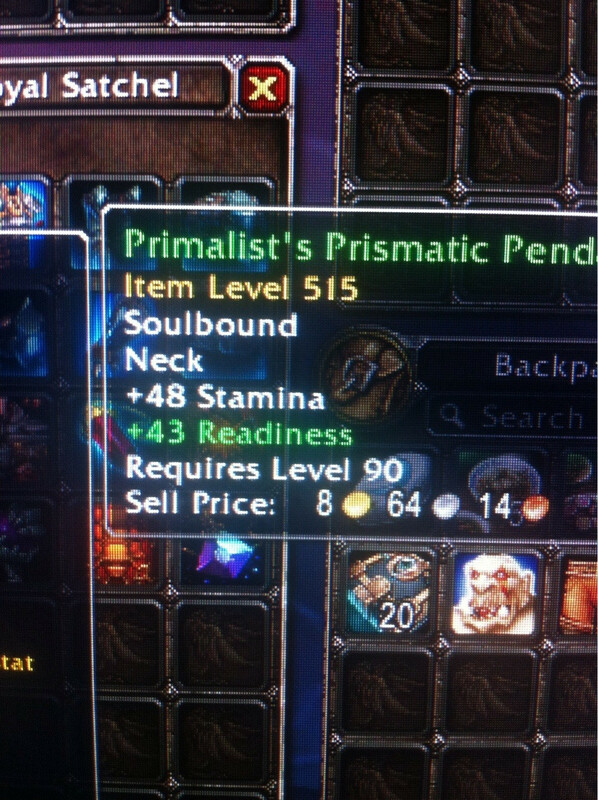 It's a new stat, Readiness reduces cooldown timer and increases proc chance of trinkets and enchantments. Been reading the deets on MMO Champ, they're really shaking up a lot of the core features. Quite exciting! Yeah a lot of the stuff sounds really good. Even the movie sounds like it has a decent chance of at least being good and enjoyable to watch. •There will be few or no daily quests at level 100! Greg Single Perchance they'll make a proper API for it and open it up allowing for some customization. Oh wait, that'll never happen. But one can dream. Kevin Vig FUUUUUUUUUCK. Why couldnt there be someone there who would say"So your implementing oQueue?" I would have liked to see their reaction to that. Kevin Vig And why does GC look like he smokes crack. Greg Single And they all looked very proud that they invented the idea. Rob McInnis "invented" being a synonym for "we grabbed that guy's 18+ month effort and called it our own"
David Watkins Mimicry is the greatest form of flattery. An implementation by Blizzard will perform better simply because they won't have to use all the weird workarounds that Tiny had do. Tiny did an excellent job with what he had, but I'm excited for the Blizzard version. It's still a Win for Tiny. He showed what was possible. He was the creator. Thank goodness. This expansion might be worth playing after all. Daily quests were an absolute garbage substitution for actual content. I'm glad they're moving away from that. People are working on a side project to update the old Warcraft games to run on modern versions of Windows. :/ I dunno about this... as somebody who likes to play multiple specs on each character you'd think I'd be all for something like this but it does remove such a big part of the game for me, and I really do like putting together and maintaining sets for different specs. It's no different than a priest swapping from Shadow to Disc or a shaman from Elemental to Resto currently. You can function with the same gear, but you still have to choose one spec to really optimise for. For shaman especially this is already done almost entirely using jewelry and trinkets. This change is really just applying the same thing to all hybrids. It's more a quality of life improvement than anything else.